For the Martino family, the drag strip has been their home away from home for more than four decades. 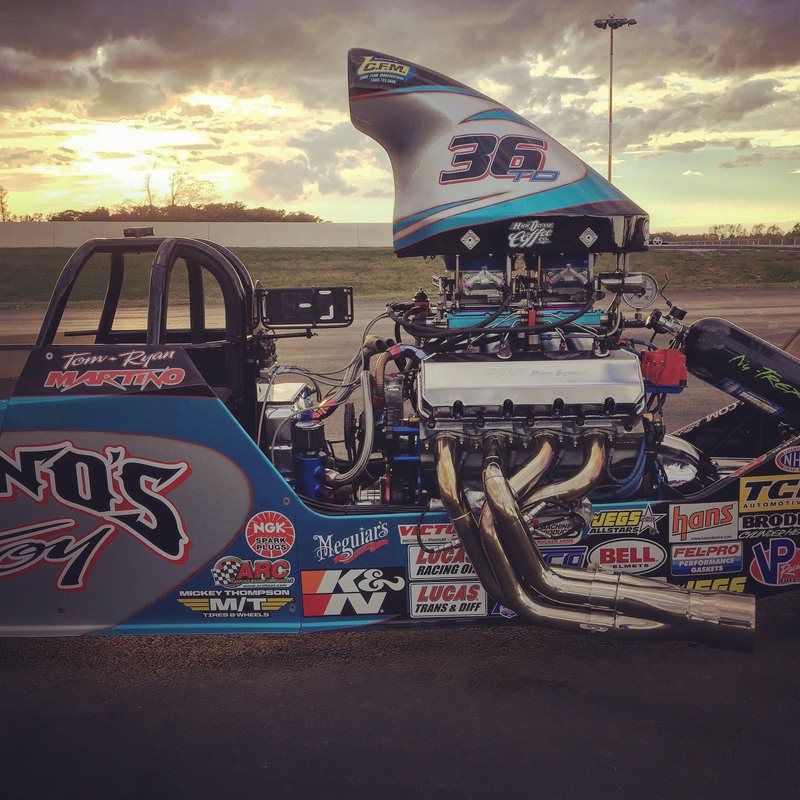 The Youngstown, Ohio team consists of the father and son duo of Tom and Ryan Martino, both of whom compete in NHRA and PDRA series racing while also working day jobs to put food on the table. 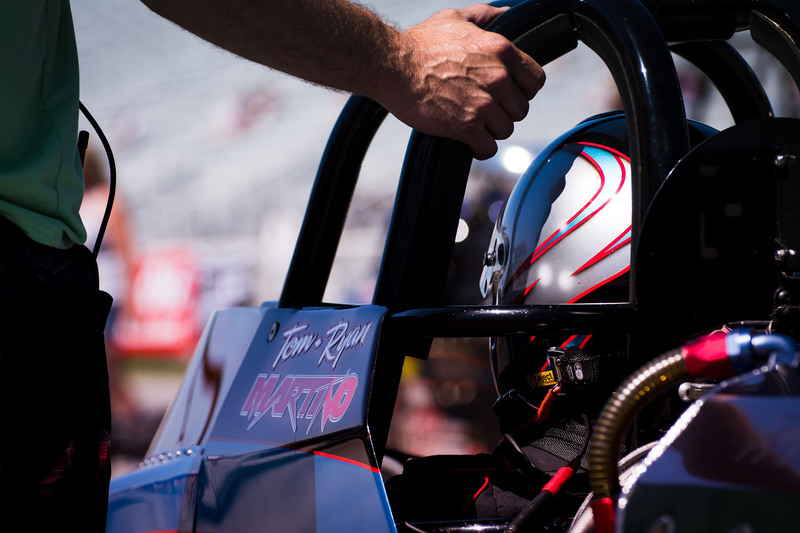 The Martino Motorsports dragster sports a 260-inch chassis with a suspended rear end built by Mac Sherrill Race Cars. While the suspension adds weight to the mix, Ryan says the car will hook up just about anywhere because of it. 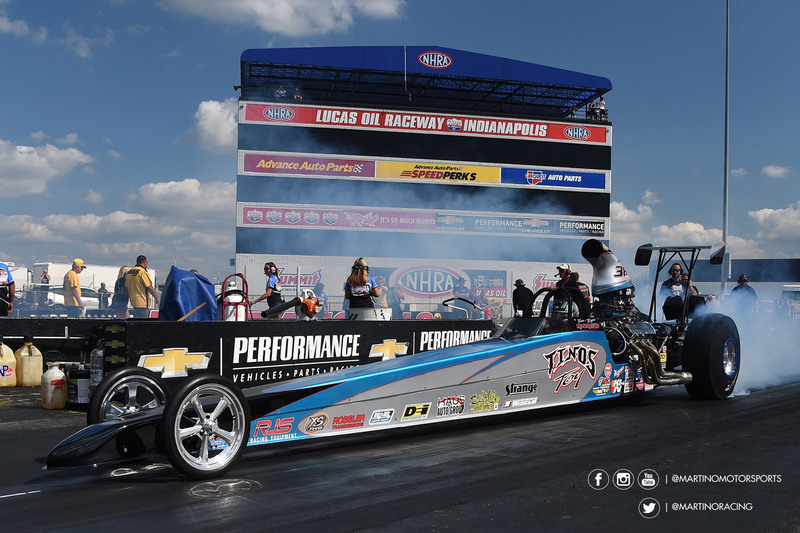 With over 2000 horsepower on tap with spray, the Martino dragster is good for consistent ETs in the 6.20 range at around 215 mph. Not long after that Tom would step up to a Ford Falcon before finding a deal on a Dodge Dart in 1977 that he couldn’t pass up. That car would take his racing career to the next level. 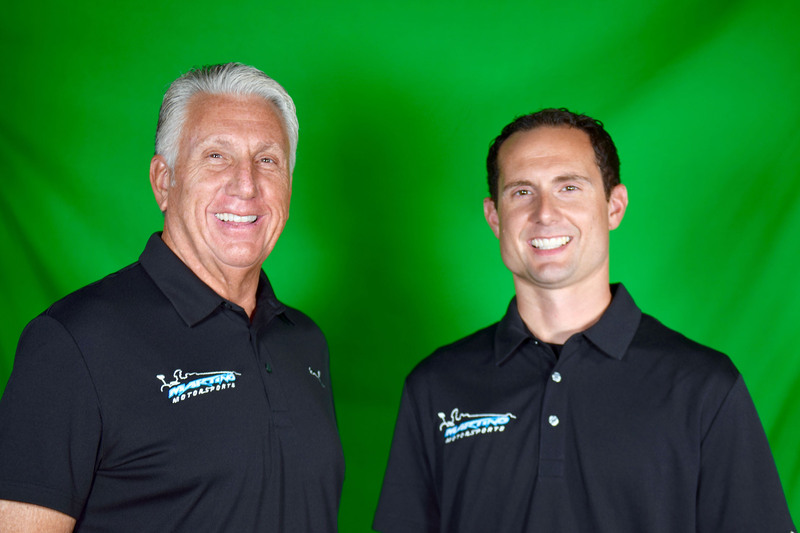 After starting his drag racing career in Sport Compact, Ryan upgraded his NHRA competition license to Advance E.T. status in 2011. 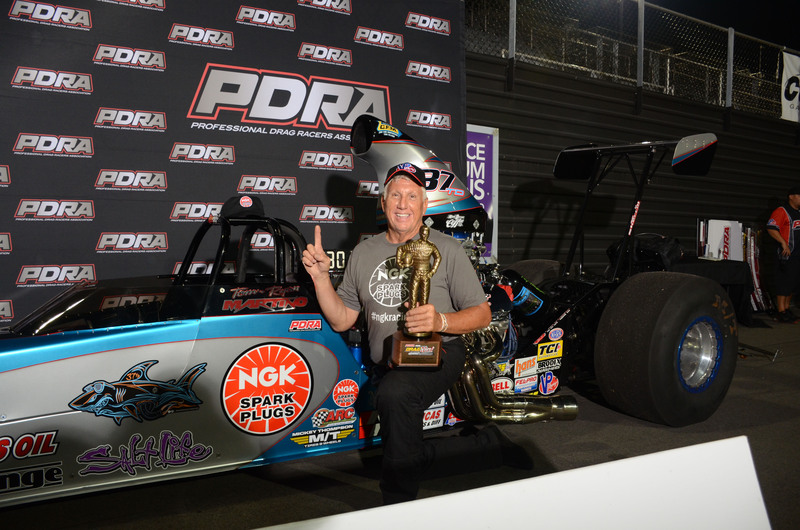 Today he shares driving duties with his dad, Tom, in the NHRA and PDRA Top Dragster classes. Youngstown has a rich history of winning tradition,” Ryan points out. “For our city to recognize our accomplishments over the years with billboard you see as you enter into the city is just incredible for us. It gives me chills every time I drive by that sign. Clearly the diminutive Mopar clicked with Tom. But then in the winter of 1990, while hosting a meet and greet event for the Coors Brewing Company and Mopar Performance in Cleveland, Ohio, Tom unexpectedly sold his Dart. A few months later he found himself behind the wheel of his first rear-engined dragster. 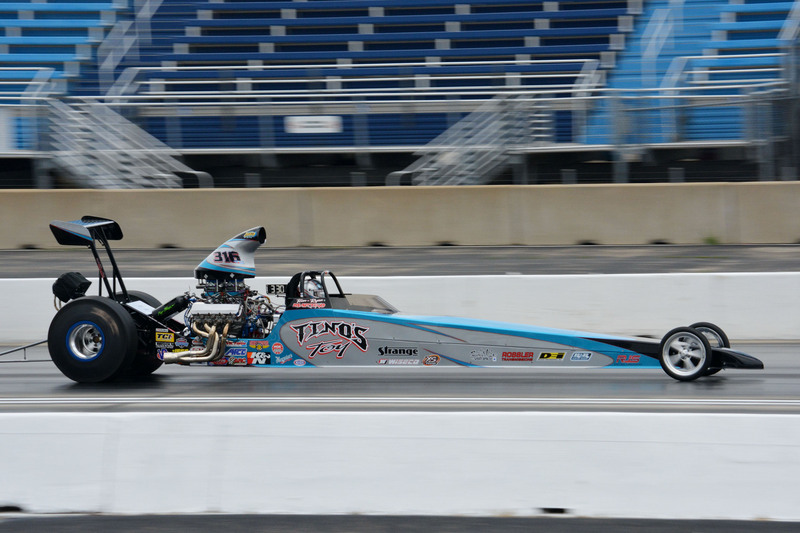 The Martino dragster is powered by a 1300 horsepower, 665-cube big block Chevy with a Brodix block and heads. Additional motivation is provided by a healthy dose of nitrous that brings to the final tally to well over 2000 hp. By the early 2000s Ryan was following in his father’s footsteps, winning three out of his first eight events in Sport Compact competition in 2003. 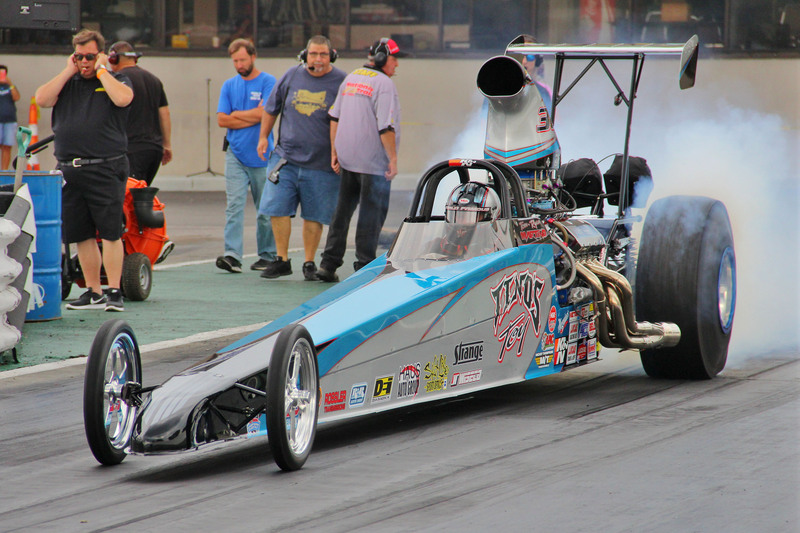 In the summer of 2011 Ryan upgraded his NHRA competition license to Advance E.T. status, and he now alternates driving duties with his dad throughout the race season. “We utilize American-made Wiseco pistons in our NHRA / PDRA Top Dragster,” Ryan says. 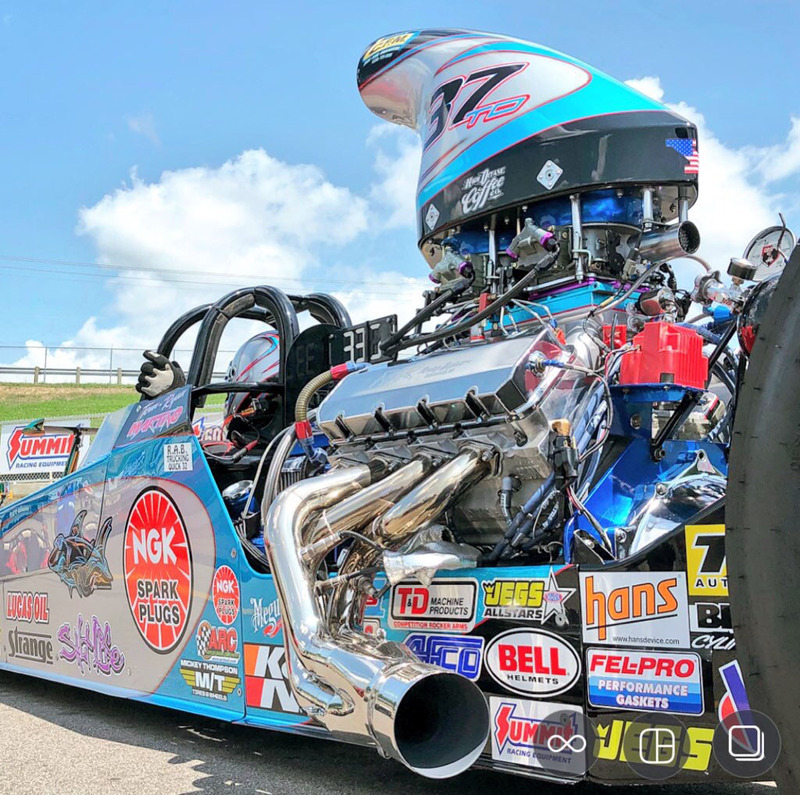 “Wiseco builds a product that can stand the test, week-in and week-out, month after month, year after year on the NHRA and PDRA drag racing circuits, and we rely on them for consistent, winning results. Tom’s racing career started back in 1970 at the age of 16 with his daily driven ’65 Chevy Impala. Keen to avoid alerting his parents to his racing exploits, he would ditch the trophies before heading home from the track, keeping just the placards as mementos.